SOURCE: Photo by Terry Parker, Northwest Territories Tourism, courtesy of Canadian Tourism Commission, used with permission. 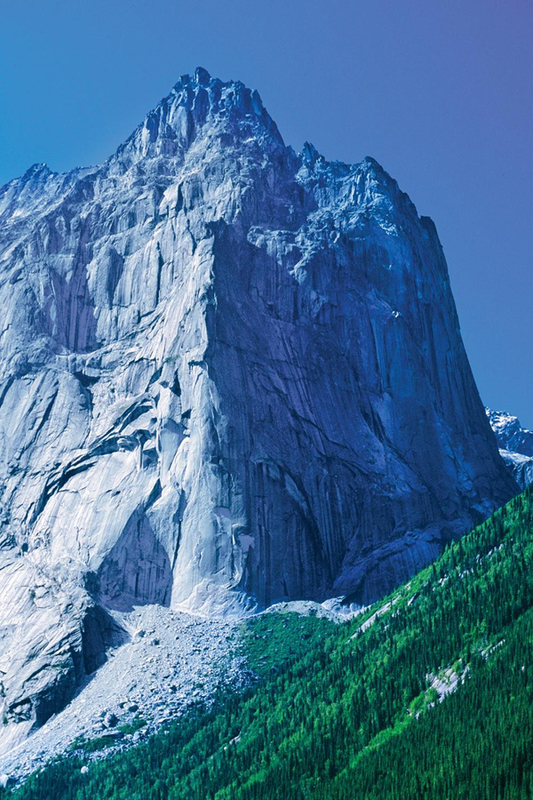 Cirque of the Unclimbables, a small cluster of peaks and walls, is in the remote Ragged Range, near Glacier Lake. Its most famous peak � only for very serious climbers - is the Lotus Flower Tower, featured in Fifty Classic Climbs in North America. These ragged peaks, shaped by the last ice age, are some of the highest in the Northwest Territories and accessible only by chartered aircraft.